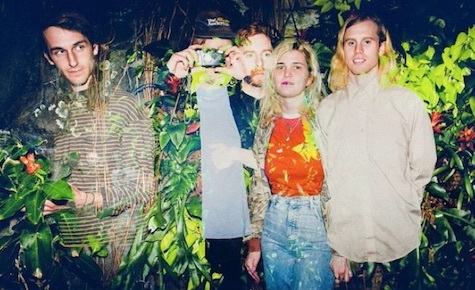 Saintseneca plays tonight at Reverb Lounge. Been listening to the new Saintseneca album, Such Things, for the last day or so. The album came out a couple weeks ago on Anti- and combines a lot of modern folk-rock styles that you’ll be familiar with, from Decemberists to Okkerville River. AllMusic even compared one track, “Bad Ideas,” to The Cure and Eno’s Taking Tiger Mountain (By Strategy). That’s a stretch. If the band emulates anyone it’s probably Neutral Milk Hotel, whose comparison is hard to ignore on the opening track and other moments like the jumping “Rare Form.” Front-dude Zac Little has that Jeff Mangum whine going on, and the arrangements at times have a similar acoustic jangle crunch. The record has lush, multi-layered production brought to you by our own Mike Mogis, who worked on the band’s last album as well. The band plays tonight at Reverb Lounge with The Sidekicks and Yowler. $10, 9 p.m.